Is there any way to centre-align columns in a table view? I know that it aligns based upon data type. Just a questions I have been asked by one of my customers. Column header/values alignment has been implemented in 2.8 which will be available on our site in a few weeks. WHere in 2.8 do we access this option? 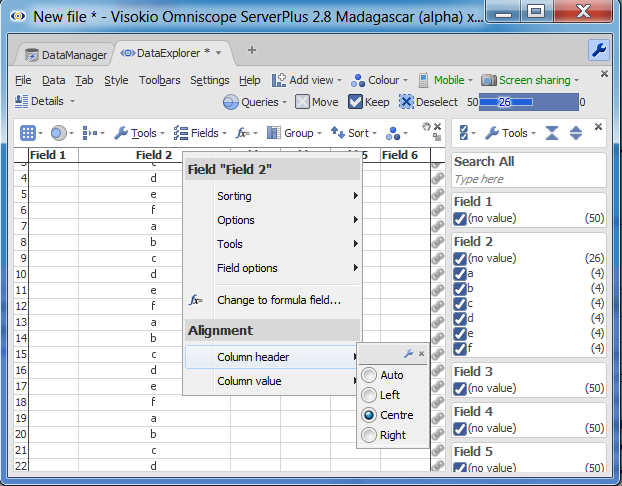 Right-click menu on the Table column, the alignment section.